The Drama Ministry is a growing and dynamic branch of the Music Ministry. We believe drama is a powerful form of communication that can be used to illustrate, challenge, confront, entertain, and inspire. The Drama Ministry regularly contributes to worship and presents special programs and full-scale plays and musicals throughout the year. 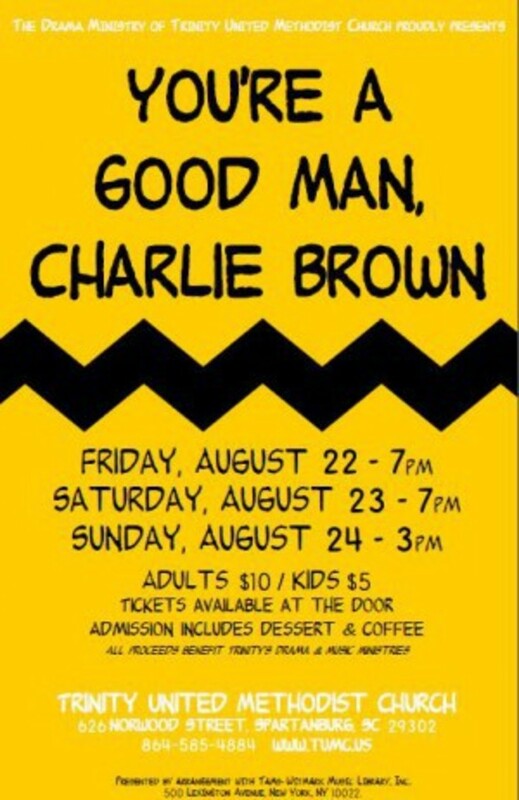 Past offerings have included You're a Good Man, Charlie Brown, All I Really Need to Know I Learned in Kindergarten, Nunsense and Nunsense II: The Second Coming, Broadway Prayers, and Broadway Prayers II.